New York Senator Kirsten Gillibrand and New Hampshire Representative Chris Pappas have each invited transgender veterans to be their guests at President Donald Trump's State of the Union address. Gillibrand, who has formed an exploratory committee to look into running for the 2020 Democratic presidential nomination, has invited Navy Lieutenant Commander Blake Dremann as her guest. Dremann, a decorated officer, is the president of SPARTA, an organization which advocates on behalf of transgender service members. Pappas, who is openly gay, has invited Travion Dignard, who served 4 years in the Navy and was honorably discharged, to be his guest at the president's Tuesday address. Dignard is currently an undergraduate at the University of New Hampshire. 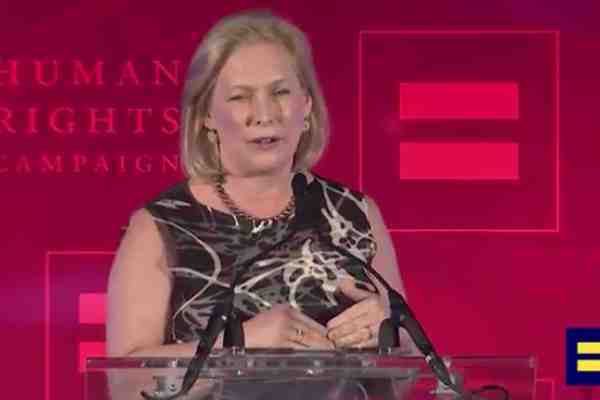 Gillibrand also announced on Monday that she would introduce legislation that would protect transgender troops. “I am proud to lead this fight and I urge all of my Senate colleagues to join me in supporting this legislation,” Gillibrand said. “[T]ransgender service members … make extraordinary sacrifices every day to defend our freedom and our most sacred values, and President Trump's decision to ban them from military service is cruel and undermines our military readiness,” she said.